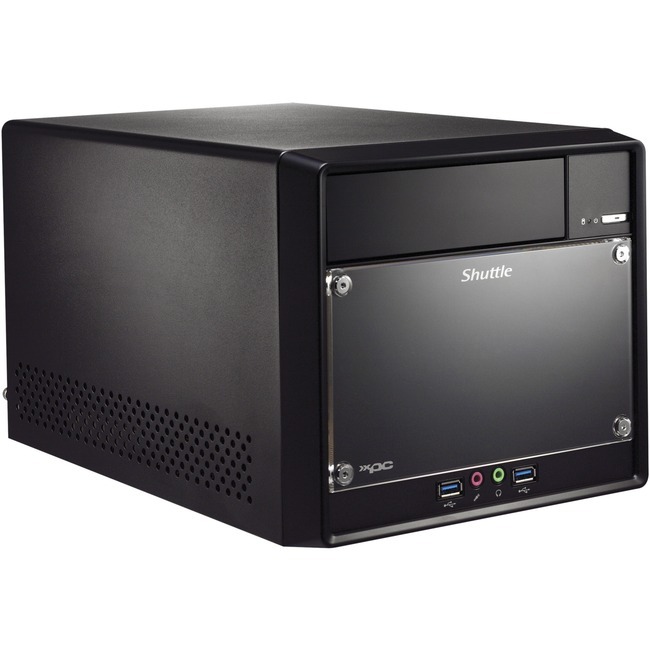 The Shuttle XPC cube Barebone SH110R4 is an entry-level Mini PC with a stylish aluminium chassis and offers several advantages in comparison with its predecessor SH81R4. It supports the 6th generation of Intel Core desktop processors with LGA1151 socket, up to 32 GB memory, 4K displays with 60Hz, high-performance M.2 SSDs with PCIe x4 interface and up to four USB 3.0 devices. SH110R4 can be enhanced by a high-performance graphics card for more demanding applications and the second PCIe-X1-slot can be used for a TV tuner card or I/O extension card for example. WLAN and COM port can be added as an option. The SH110R4 comes with a built-in 80 PLUS Bronze certified power supply and Shuttle's exclusive I.C.E. heatpipe cooling which means it is highly energy-efficient and ready for long-term operation. For a personal look and feel, the front panel can be customised by adding individual designs to it.